Apololgize to all of ya that like going to this event but YES!! I really dislike the Indy flat track so it will not be missed by me. I also read some stories about the Laguna Seca venue. Not 100% on all the facts so I won't comment yet but I'm dying to see the boys back there. 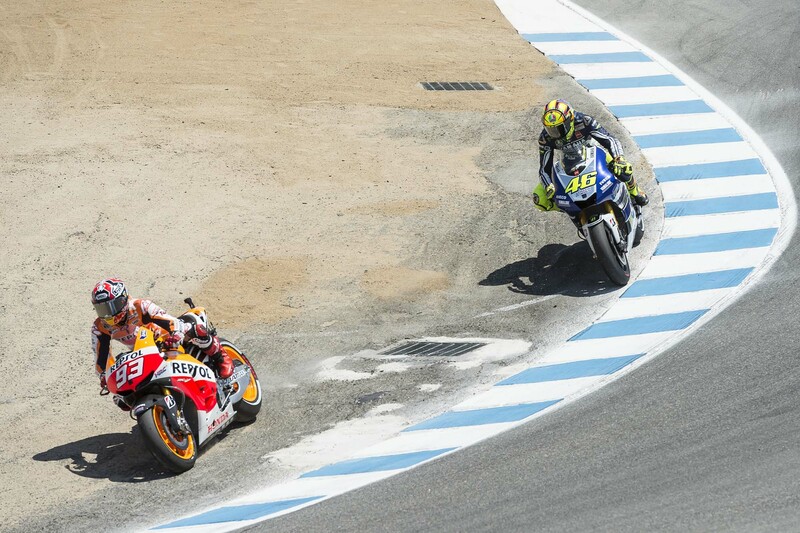 Laguna Seca....the death track. Too much sand and blind drops/corners IMHO. Sand you say?? Ever been to Dubai? I never said I liked Dubai. America needs more MotoGP! Someone should go on Sharks and get Mark Cuban to build one. Agree!! And make sure it has some elevation changes! If I want flat track, I'll eat dirt. MotoGp at Indy 2008 confirmed!